When people start raving about a new diet or revived fitness regimen, we as a society have grown rather thick skin when it comes to believing any of the claims. It’s actually a good thing though, since many of those prove to be fads. On the flip side though, the truly remarkable or worthwhile methods that do come out can take a while to gain traction or notoriety, especially if it doesn’t offer immediate results. Any fitness buff or scholar will tell you though, slow progress is more sustainable than quick results, which is why many diets or regimens turn to fads. The ones that truly stand out or that have life-altering benefits are the ones which don’t attempt to be some kind of get-fit-quick scheme. And if you were wondering, the Gyrotonic Expansion System falls into the latter category; it’s the real deal. Studies have shown that dieting makes up 80 percent of weight-loss – exercise only makes up the other 20 percent – so there’s no getting around eating healthy if losing weight is your goal. The thing with Gyrotonics though, is that healthy living as a whole is the overall focus. While the Gyrotonic exercises are great for the body and increase strength, flexibility and blood flow, each class also offers mental health benefits like relaxation. Because of the mental and physical benefits the Gyrotonic system offers, people who regularly attend classes will often begin to start making better nutritional decisions for themselves – bringing their health full-circle. After experiencing the workouts offered by certified Gyrotonic trainers in NYC, there is absolutely no doubt that this is an excellent, solid and very real workout method. And since there’s still time to “get on the bandwagon” before it really takes off. What’s great about Gyrotonics, especially since it’s still a rather new workout method, is that your first few classes will probably be filled with beginners as well. Once you get the hang of it and become a real fan of the method – because we know you will – there are plenty of exercise variations and routines so you can continue to challenge your body. Gyrotonics doesn’t make any hollow promises about getting get ripped or fit quickly, but it does offer a real, sustainable and enjoyable approach for gaining better health overall. 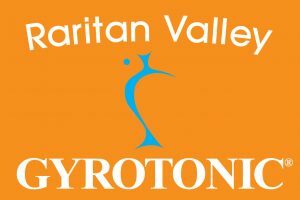 If you want more about the benefits of the Gyrotonic or Gyrokinesis methods, give Raritan Valley Gyrotonics a call at (908) 288-7551, send them a message or stop by the studio. To get started on your journey to a more healthful lifestyle, schedule your first class today and start reaping the benefits.